Home » News » Trail Running » Spine Race Update: Jasmin Paris Closes in on the Finish! 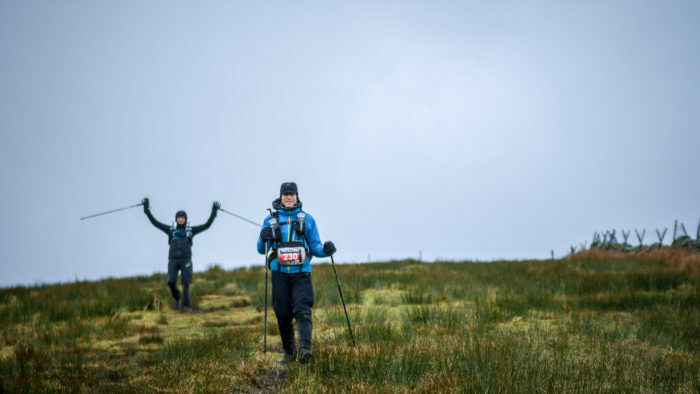 Spine Race Update: Jasmin Paris Closes in on the Finish! It’s been an exciting few days out on the Pennines in the Spine Race! We saw the men’s record smashed on the Challenger by Jim Mann and an emphatic win by Carol Morgan in the women’s race. Then we saw a group of three runners, Jasmin Paris, Eoin Keith and Eugeni Roselló Solé, taking the early lead in the Spine. And now, as the race leaders move towards the finish, how is it looking? Unfortunately Eoin Keith dropped out of that lead group on Monday, but he continues to chase hard. The big story has been between Jasmin Paris and Eugini Roselló Solé, who have been neck and neck for much of Monday and Tuesday, but with Jasmin opening up gaps where possible. But as of Tuesday night Jasmin had managed to open up a gap of five miles on Eugeni. But this morning (8am Wednesday) that gap has grown to eight miles! We’ve dreamed this might happen all week, but could we be about to see a woman win the Spine Race outright? This would be a huge story and a massive achievement for Jasmin and for women’s ultra running. 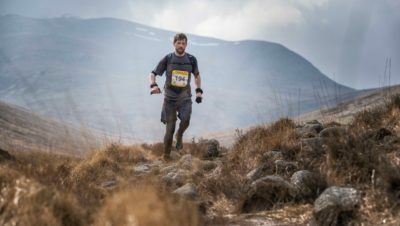 Without entering into any debates about ‘the UK’s toughest races’, this is undoubtedly a very hard race in terms of distance, terrain, conditions and mental challenge and runners like Eoin Keith, Eugeni Roselló Solé and John Knapp, who’s currently in third place in the men’s race, will be pushing as hard as they can. At the time of writing Jasmin is at the 240 mile point, so she has 28 miles to go. She is approximately 72 hours in and it looks certain that the women’s record of 109 hours (set by Carol Morgan) will go. But, the men’s record stands at 95 hours. Could Jasmin beat that record as well? That really would be an accomplishment. We are rooting for Jasmin at Run247 and hope she can keep going and win this! Eugeni is currently eight miles behind Jasmin, so unless she needs to take a long rest it seems unlikely that he can catch her. Eoin Keith is 19 miles behind Eugeni, at 213 miles, and John Knapp is at 198 miles. In the women’s race Shelli Gordon is in second place at 173 miles. If you haven’t read Shelli’s reasons for doing this, in memory of runner Tony Holland and to support the charity CALM (Campaign Against Living Miserably), I strongly urge you to read her story and donate if you can. Gabriele Kenkenberg is in third in the women’s race, at 160 miles. So later today we could have a women’s winner of the Spine and a new record. 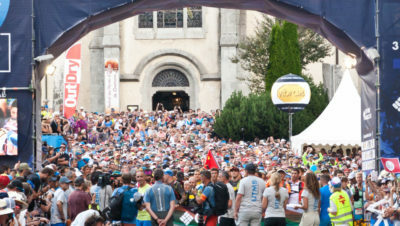 And we might have seen one of the most impressive feats of women’s ultrarunning in the UK. It’s going to be a very exciting last day! And let’s not forget that an awful lot of runners will continue their race for the next couple of days. We will keep following! Keep following those dots HERE.